Patriotic. 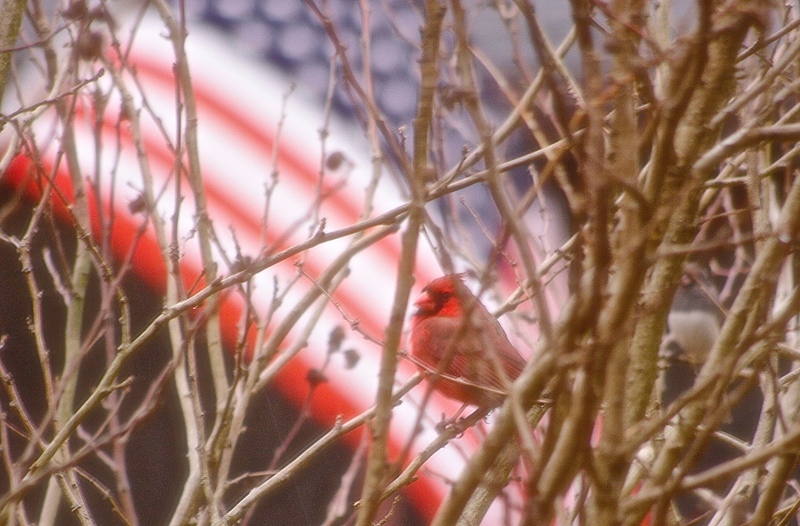 The cardinal was perched in a bush in my parent’s yard and it so happens that their neighbor had the US flag unfurled in their yard making a striking backdrop for this photo. Great photo. So colorful. What a catch! Thanks. 🙂 It is always nice when everything comes together without effort.